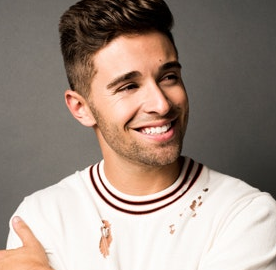 Jacob Harris Miller famed as Jake Miller is an American pop rapper, singer and songwriter from Weston, Florida, United States. He released his debut album "Us Against Them" on 5th November 2013. He also began as the support act on 19th August 2016 for Fifth Harmony's The 7/27 Tour, Miller's 7-song EP titled Overnight was released. He released his second album, 2:00 am in LA and third album, Silver Lining on 9th March 2018. He has also released seven EPs till date, all of which have garnered considerable popularity. He is a very talented singer as well as a good songwriter. For his albums ‘Us Against Them’, ‘2:00am in LA’ and ‘Silver Lining’. 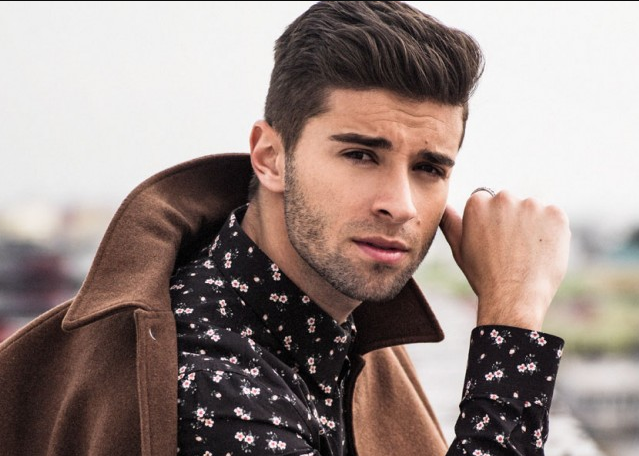 Jake Miller was born on 28th November 1992. As of 2018, he will be 26. He was born in Weston, Florida, the U.S. His nationality is American. His sun sign is Sagittarius. He was born to Bruce Miller and Lee Miller, his parents. Talking about his siblings, her name is Jenny Miller. His ethnicity is White. Regarding his education, he was enrolled at the University of Miami. However, he dropped out of university after one semester to focus on his burgeoning music career. Jake has got an average body build. He has a tall height of 180 cm or 5 ft 11 in. His shoe size is 11 (US). His hair color is Dark Brown and eye color is also Dark Brown. His balanced weight is 83 Kg of 183 lbs. His chest size is 109 cm, arms size is 16 in or 41 C, and waist size is 84 cm or 33 in. Jake won the Samsung and T-Mobile USA national "Kick it With the Band" talent competition in May 2011 and was also awarded $35,000 to use for his music career as well as a video with YouTube celebrity Keenan Cahill. Then, he opened for Mac Miller and performed alongside Flo Rida, Sean Kingston, and Asher Roth at the "Think Pink Rocks" concert which benefited breast cancer awareness. He also performed at the annual Y100 Jingle Ball concert along with Cody Simpson and We the Kings in December 2011. He then partnered with Big Time Rush for the song "Lost In Love" from the album 24/Seven. He released his EP Spotlight with the single "What I Wouldn't Give" on 29th July 2012. After that, he signed with E1 Music on 16th January 2013. His single "A Million Lives" was released on 23rd January 2013. He released his debut full-length album Us Against Them on 5th November 2013. He then signed with Warner Bros. Records. He released the lead single from his third EP Dazed and Confused, called "First Flight Home" on 6th July 2014. He announced his new representation with Wilhelmina Models on 19th January 2015 and on 30th July he announced his new 7-Track EP titled Overnight would be released on August 19. In December 2016 he was chosen as Elvis Duran's "Artist of the Month", and he performed "Overnight" live on NBC's Today show with Kathie Lee and Hoda Kotb. His next album title 2:00am in LA was released on 16th June 2017. He then revealed the title, release date on 19th February 2018 for his upcoming album titled Silver Lining. He announced that he signed a record deal with RED MUSIC/Sony Music on 27th July 2018. He was the celebrity guest at the color war breakout at Camp Chen-A-Wanda located in Thompson, PA on 2nd August 2018. Jake is not married yet and he is still to get married. He is currently focusing on his career rather than being in a relationship. He is enjoying his life a lot being single. He is very happy with his single life. Previously, he dated YouTube personality, Madison Bertini for 8 years and later the couple breaks up. He has not spoken about his break up with Madison. He is also a very secretive person regarding his private life. The net worth of this famous singer is estimated to have $800,000. He is making a good amount of money from his singing career. His exact salary has not been revealed yet and will be updated soon. But there is no doubt in the mind of his follower that he is earning a considerable amount of money from his present work. His major source of income is from his singing career. He has a very sharp brain and can solve the Rubik’s cube within two minutes. He has also memorized the first 100 digits of the pi. He has the dubious honor of having broken up with his fifth-grade girlfriend on the Valentine’s Day. He has served as a student president while studying at the elementary school.